This afternoon was such a terrific afternoon weather wise that I decided to venture out and head east up the South Eastern Freeway, & activate the Ferries McDonald Conservation Park. 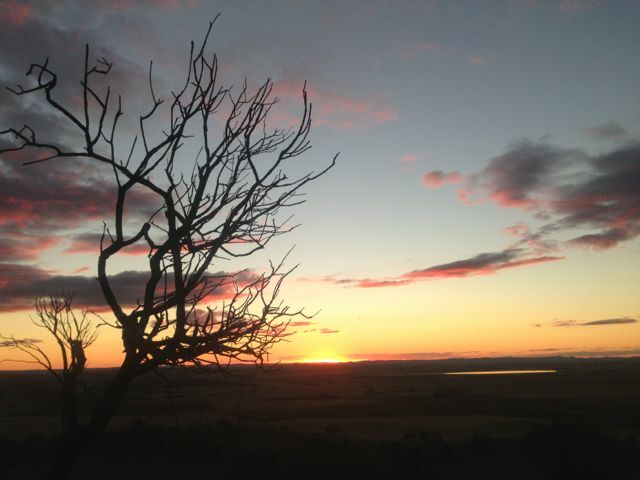 The park is situated about 60 kms east of Adelaide, and about 20 kms south west of Murray Bridge. Its not that far from my home qth. Access is either via Chaunceys Line Road via the town of Hartley, or via Ferries McDonald Road via Monarto South. 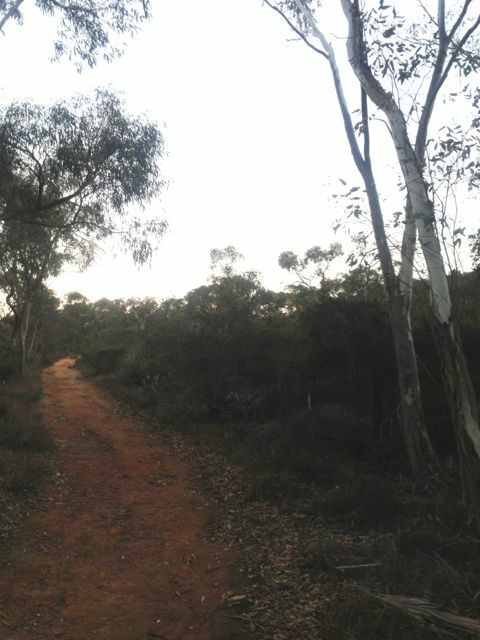 Ferries McDonald Conservation Park covers an area of about 860 hectares and contains one of the few pieces of remnant Mallee vegetation close to Adelaide. It is important as it has never been cleared for farming, and is an example of the original vegetation of the area. Within the park there are numerous bird species (over 60 have been recorded), echidnas, marsupial mouse, and Western Grey kangaroos. 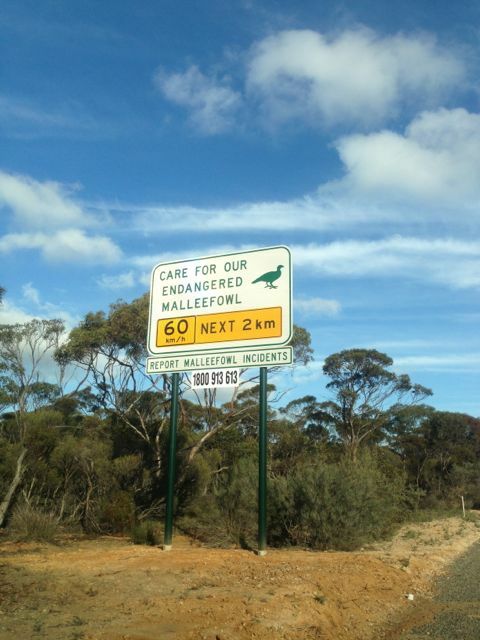 It is also home to the highly endangered malleefowl. Although I didn’t see one, I did go for a walk prior to setting up and I saw one of their nests which are built on the ground as a mound. 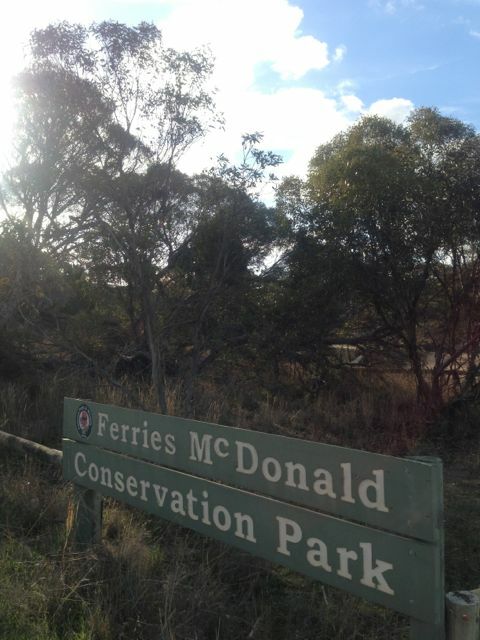 The park is named after Mr. Ferries and Mr. McDonald who donated the land for conservation, last century. I accessed the park via Chaunceys Line Road, and set up the gear near the carpark at the eastern end of Chaunceys Line. As per usual I used the FT-817nd, just 5 watts output, and my dipole. There are plenty of trees here to hang the ends of the legs from, and I used a couple of big rocks to hold the 7m squid pole in place. 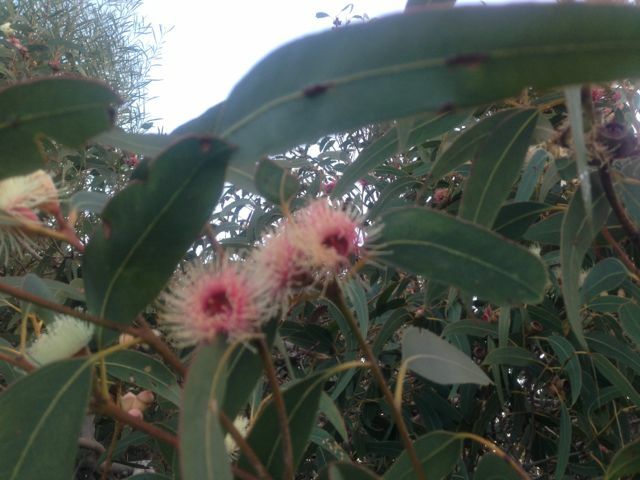 The park contains thick mallee and other Mt Lofty Ranges vegetation, including gums. I started off on 40m and my 1st QSO of the day was with Gary, VK5ZK, down at beautiful Goolwa. My 2nd QSO of the day was with Peter VK3PF, who advised that by working me had had racked up his 10 points, thus qualifying for the Bronze level of the VK5 National & Conservation Parks Award. Congratulations Peter on becoming the first interstate operator (and in fact the first ever) on getting to Bronze as a “Hunter”. I know there are plenty of other guys knocking on the door as ‘Hunters’, and most of those are from VK3, which is great to see. I also spoke with Ian VK5CZ who again was using just 100 milliwatts from up at Clare. Ian was an excellent signal (5/6) even on such low power. 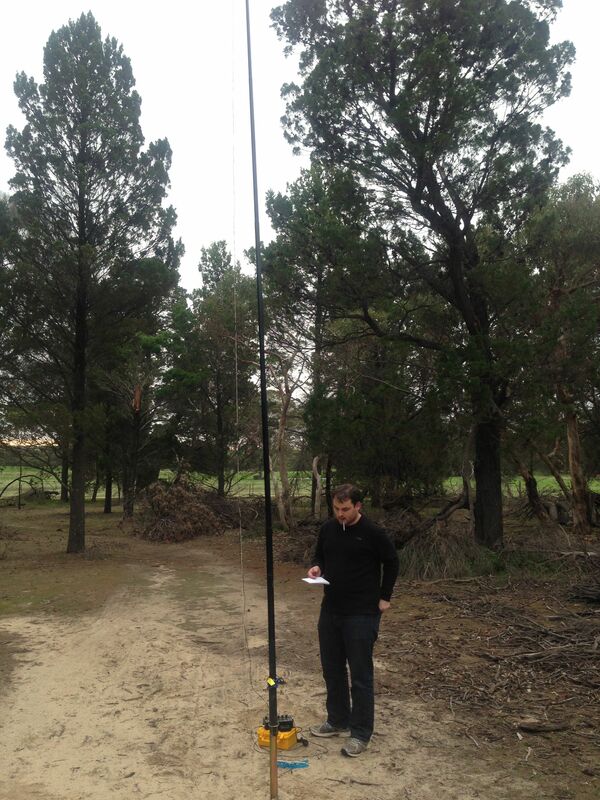 From Ian’s QTH in the Clare Valley, to my portable location in the park, was a distance of about 200 kms. Also made contact with John, VK5BJE/p who was operating from the Mylor Conservation Park. This was John’s second park for the day. I had worked him earlier in the afternoon before leaving home, when he was in the Sir Mark Oliphant CP in the Adelaide Hills. Well done John on getting out and about and activating 2 parks. 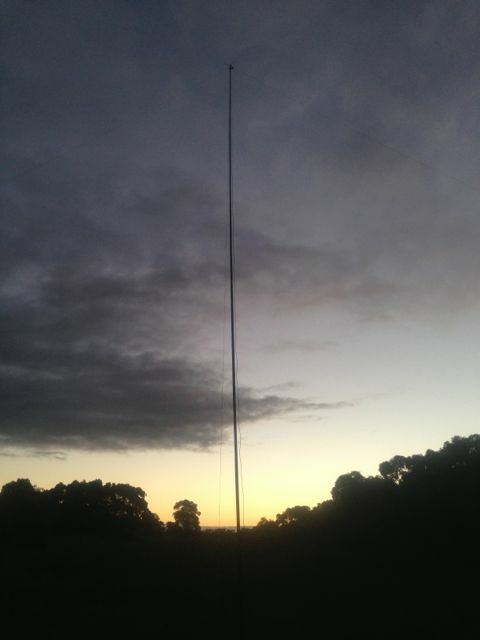 I also spoke with Brian VK5FMID down in Mount Gambier, who lowered his power down to 2 watts, and I lowered my power down to the lowest setting on the 817nd (half a watt), and we were able to comfortably talk with each other on 40m. After the activity on 40m had slowed down, I slid over to 20m to see if I could pull in any DX, but I was sadly disappointed. I could hardly hear anything coming in on the LP from Europe. There were stations there but they were very light. I had to run the antenna through the antenna analyser a few times, just to make sure I didn’t have a fault, but everything was okay. I then heard a few Europeans comment that the band was poor, so that made me feel a little bit better. 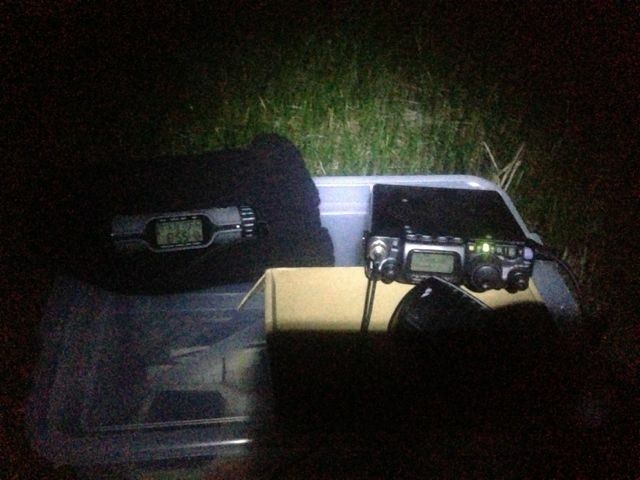 So I switched back to 40m and made a few more contacts until the sun went down and the mozzies came out. My last QSO of the day was with Bob VK6KRC. By the end of the afternoon, I ended up 33 QSO’s into VK2, VK3, VK4, VK5, VK6, & VK7 on 40m, and just 1 QSO on 20m into VK6. I packed up my gear and headed home to a waiting meal of Noddle Box, a nice hot coffee, and a few glasses of port. Gary VK5ZK; Peter VK3PF; Marshall VK3MRG; Andy VK5LA; Wayne VK7NET/m; John VK5FTCT; Shaun VK5FAKV; Allen VK3HRA/m; Ian VK5CZ; Col VK5HCF; Nick VK3ANL; Ken VK3HKV; Kas VK5ZKT; John VK5BJE/p; Darren VK2NNN; Steve VK3MEG; Ian VK3VIN; Jim VK5JW/qrp (5 watts); John VK2YW; Wayne VK7NET (at home); Dean VK2FLYS; Brian VK5FMID; Frank VK3FADI/qrp (5 watts); Ray VK3NBL; Don VK7DON; Peter VK5KPR; Rex VI103WIA; Andrew VK2UH; Peter VK5NAQ; Andrew VK7AD; Colin VK4FAAS; Kev VK2KEV/m; Noel VK3NDX; and Bob VK6KRC. Another great afternoon out. Plenty of stations called in which is great and lots of interest in the VK5 Parks Award, which is even better. After packing up at Sandy Creek CP and saying see ya later to Andy VK5AKH, I started heading home through the Adelaide Hills. My wife Marija had told me about another park that I was going to pass on the way home, so I took this as a ‘you have permission to stop in there on the way home‘, which is exactly what I did. 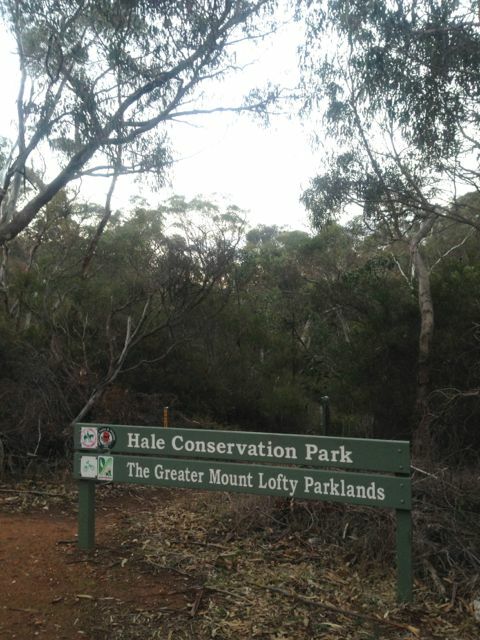 Hale Conservation Park is situated about 60kms north east of Adelaide. It is located a few kms south of the town of Williamstown. Access is via the Mount Pleasant Road. The park has a diverse landscape and steep rocky ridges, and is the home to some of Australia’s more secretive mammals. It conserves the oyster bay cypress pine. 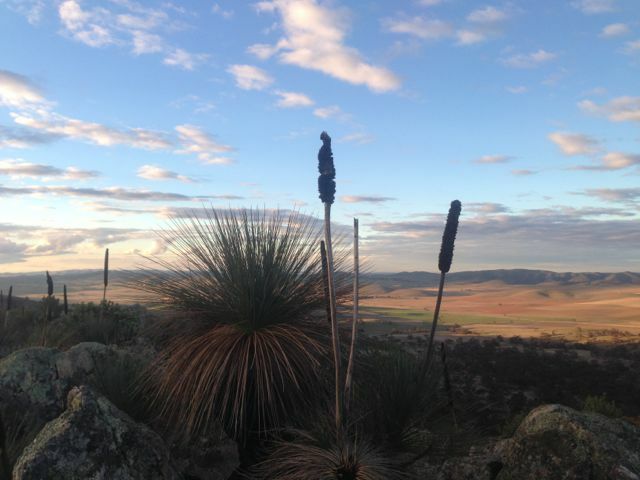 There are some challenging walking trails in the park which provide spectacular views of the South Para Valley and the South Para Reservoir. 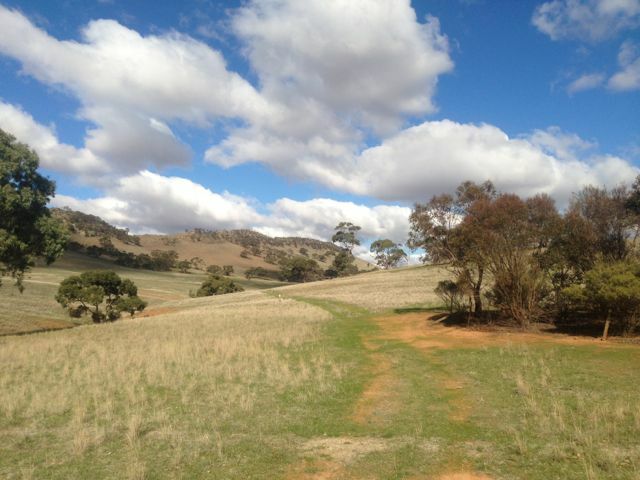 The trail to the South Para River passes from the highlands to the river crossing while the trail to the north eastern boundary of the park follows the creek line to emerge in grasslands on the outskirts of Williamstown. When I first arrived at the park, there were 2 other cars in the carpark. I think they were 2 young lovers. But they didn’t hang around for long. The sight of some fella carrying a squid pole into the bush and the sounds of goats bleating (from SOTA Goat), got the better of them, and off they went to a more quiet location ! I set up the Bandhopper 40m/20m dipole on the 7m squid pole, and used my Yaesu FT-817nd with 5 watts. There are plenty of trees here so there were no problems with getting the ends of the legs of the dipole up off the ground. I had a steady flow of ‘hunters’ who responded to my CQ call, and I ended up with 16 QSO’s, all on 40m. Included one QSO with Lamont in Gisborne in NEW ZEALAND. Really good conditions between the 2 of us, with 5/8 both ways. It was a great little spot where I was set up and there was quite a bit of natural lightning, as it was almost a full moon. But the cold weather got the better of me, and I headed home to the warmth, and spent there remainder of the evening watching the AFL on the TV. Hans VK5YX; Ian VK5CZ/m; John VK5FTCT; Nev VK5WG; Rod VK5FTTC; Brian VK3MCD/m; Matt VK1MA; Mark VK3YN; Steve VK3MEG; Michel VK3KVW; Shaun VK5FAKV; Bill VK7SV; Lamont ZL2ALK; Paul VK5FUZZ; Urey VK3ATA; and Roy VK7ROY. On Saturday, the 25th May, 2013, I journeyed up to Riverton, about 130 kms north of home, for a get together lunch with Ian VK5CZ and Andy, VK5AKH. We had an enjoyable lunch at the Riverton Hotel, and a chat, and spoke a bit about the direction of SOTA in South Australia. Riverton is a great little town situated in the mid north of S.A. in the Gilbert Valley. It only has a population of about 720 people. But in its heyday it was a very busy place, as it was situated on the bullock track to Adelaide, from the mining town of Burra. 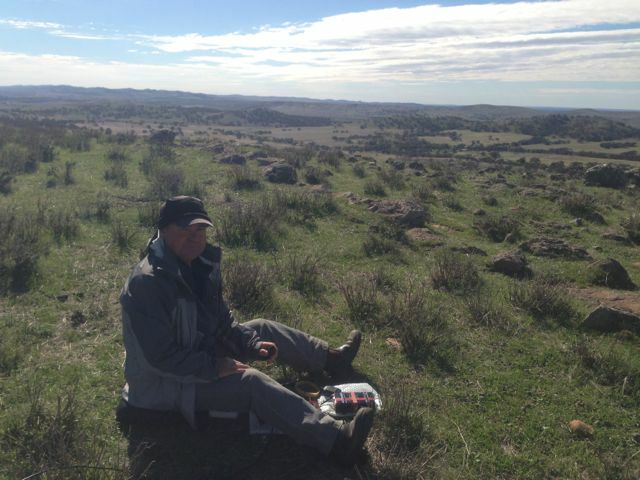 Following lunch, Ian headed west back to Clare, and Andy & I headed south to the Sandy Creek CP, which is located about 60 kms north east of Adelaide, between Gawler and Lyndoch in the southern Barossa Valley. Access is via the Barossa Valley Highway. 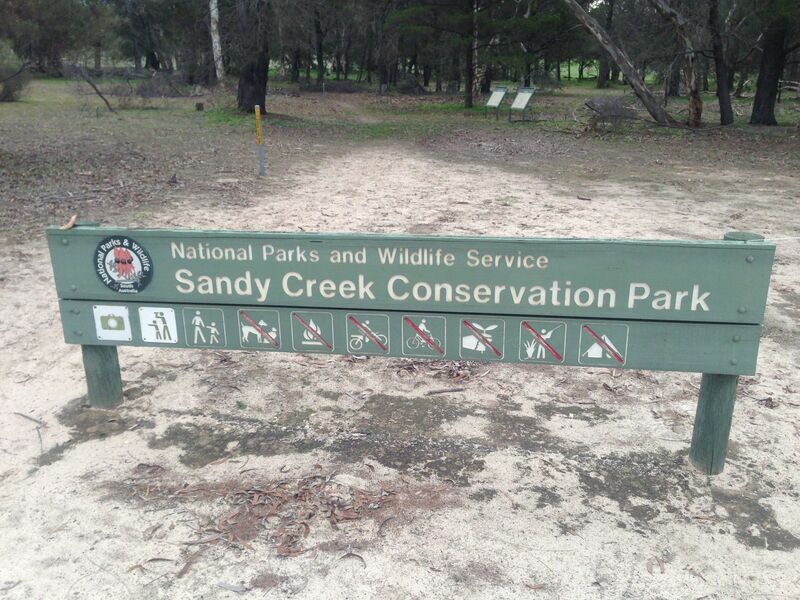 We soon worked out why it is called Sandy Creek. The soil here is certainly very sandy ! Funny that. The Sandy Creek Conservation Park is surrounded by farmland, vineyards and deep sand mining pits. It is established on gently undulating sand dunes with occasional creeks. 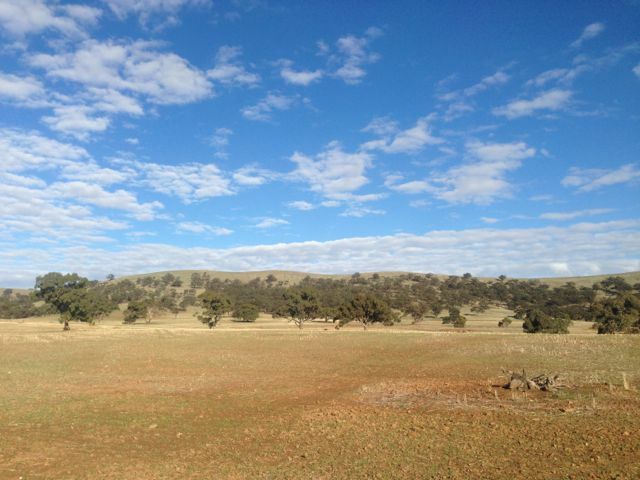 It conserves some of the last remaining vegetation of the sandy soil lowlands of the Barossa Valley. 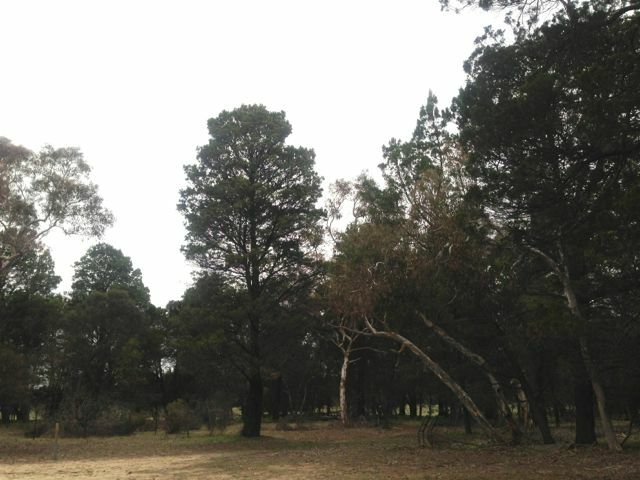 Several walking trails through the native pine and pink gum allow you to explore the park. There is plenty of wildlife in the park including western grey kangaroos. The richness and diversity of the park’s birdlife makes it particularly significant for naturalists and birdwatchers. Unfortunately, bird populations are in decline due to the changing habitat. 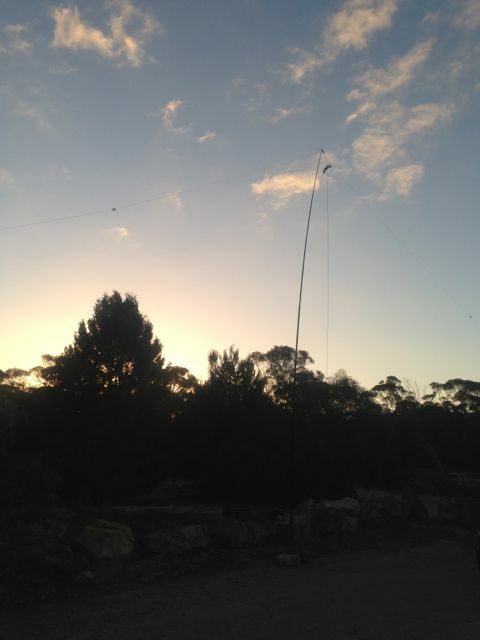 Andy and I set up the Bandhopper 40m/20m linked dipole, using the 7m squid pole as support. No problems here with putting the pole holder into the ground. 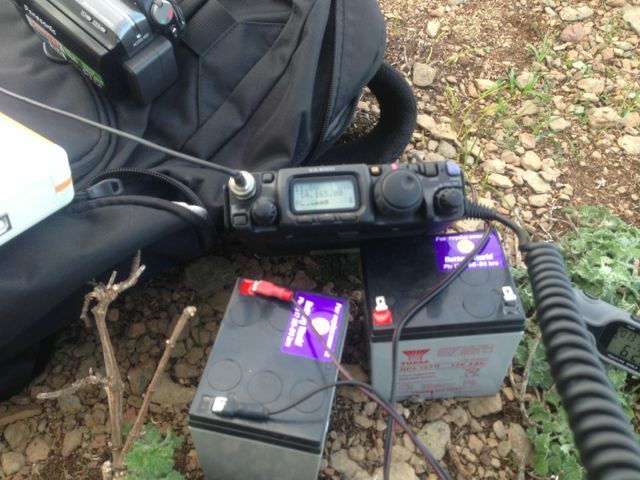 We used Andy’s Elecraft KX3, which is a great transceiver, and just 5 watts output. Our first QSO’s were with Col VK5HCF and Brian VK5FMID down at the Ewens Ponds Conservation Park, in the south east of South Australia. Col and Brian have been active supporters of the VK5 Parks Award. It was great to speak to them and have them in the log. Ian VK5CZ then gave us a call from the Spring Gully CP, and we slowly wound back the power at both ends from 5 watts down to 100 milliwatts and were still able to hear each other very well. 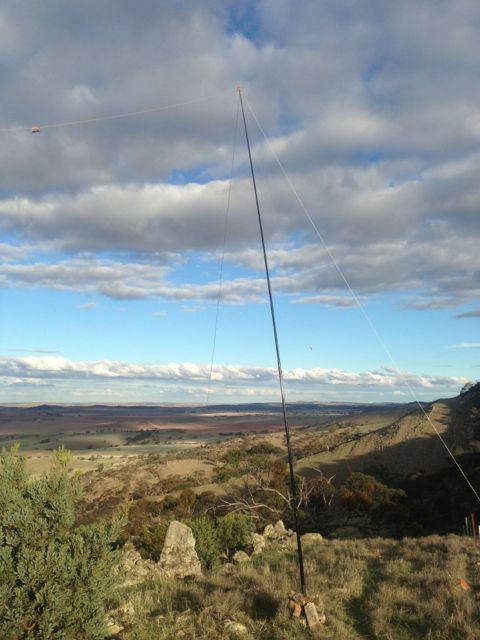 Our next QSO was with Doug using the special event call of VI130WIA for the 2013 WIA National Conference in Perth, W.A. This was a good one to have in the log. 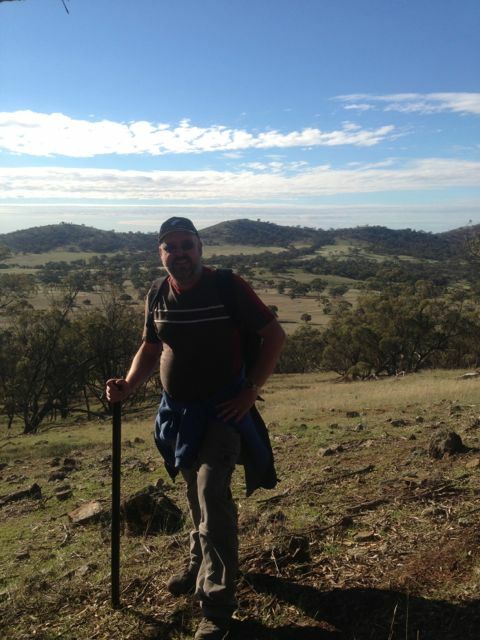 Next we spoke with Marshall VK3MRG/p who was on top of Suger Loaf peak, VK3/ VN-011, in Victoria. Marshall had a great signal, with very little QSB. Andy and I were just in the process of packing up and taking down the antenna, when a goat bleated from my iphone from SOTA Goat. It was a spot for Wayne VK3WAM. 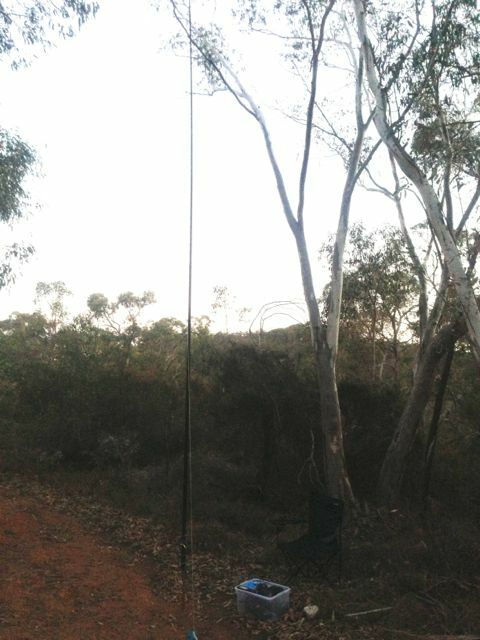 So the 2nd leg of the dipole was strung back up in the trees and we made contact with Wayne who was on the top of Mount Disappointment, VK3/ VC-014. Signals were very good…5/8 both ways. Matt VK1MA then asked us to QSY down 10, so we spoke with Matt, and then kept getting calls following that. Which was great, but nature was calling, and unfortunately we had to go QRT. Ended up with 13 QSO’s, all on 40m SSB. Col VK5HCF; Brian VK5FMID; Peter VK3ZPF; Peter VK3PF; Ian VK5CZ; Doug VI103WIA; Marshall VK3MRG/p; Wayne VK3WAM/p; Matt VK1MA; Allen VK3HRA; Paul VK3IH; VK3YN; and Peter VK5KPR. After activating VK5/ SE-009, Ian VK5CZ and I drove north of Burra, and onto the Goyder Highway and then north on the Barrier Highway. About 10 kms north of Burra we turned right onto Mount Cone Road and travelled right to the very end of the road which leads to a homestead. 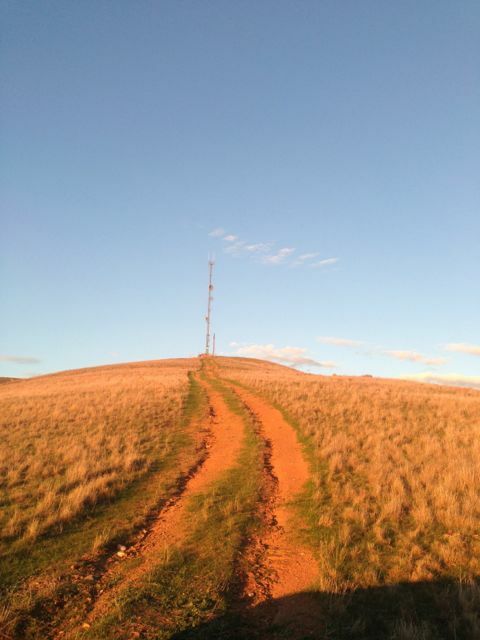 Mount Cone summit is located on private property owned by Mr. Simon ROWE. He is one of the founders of T&R Pastoral company, which is the largest beef and lamb trader and processors in South Australia and one of the largest family owned in Australia. 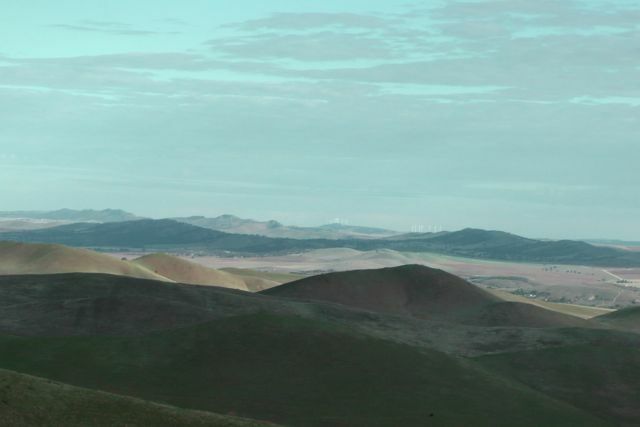 There is another Mount Cone located 100’s of kms away down south on the Fleurieu Peninsula. We then followed a dirt track across some paddocks leading up to the summit, busbashing in my Falcon XR6. We parked the car about 300 metres from the tower at the summit, and climbed up hill the rest of the way, which was a steep but fairly easy climb up the dirt trail. Again, Ian and I set up to stations. 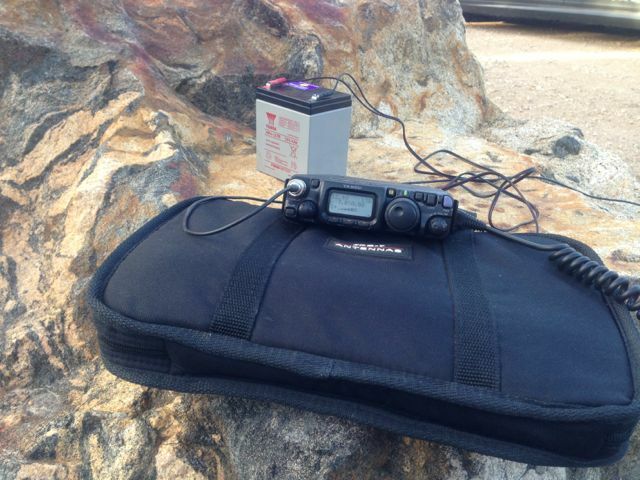 He used his Elecraft KX3 and an end fed antenna. I used my little Yaesu FT-817nd and my BandHopper 40m/20m linked dipole. I secured it to a wooden fence post with an occie strap. 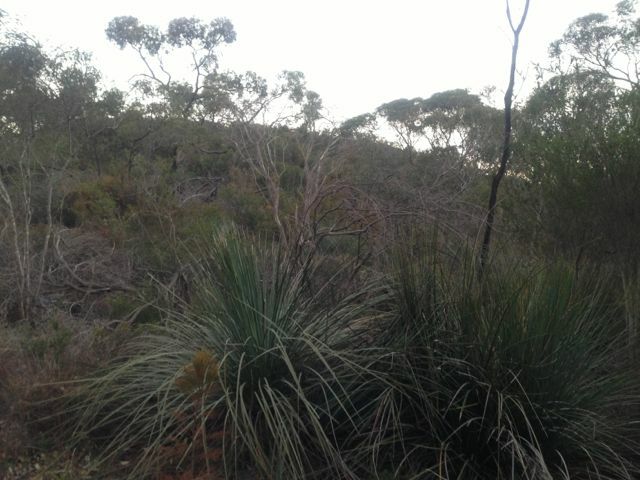 No wildlife seen on the hill, except for a large wedge tailed eagle who was keeping a watchful eye on us. The only animals were cows grazing on the hills. As Ian said to me, they must be the fittest cows in the mid north of S.A. It was absolutely blowing a gale up here. Incredibly windy and it was a real challenge to keep the squiddies from collapsing….which happened quite a few times. They were certainly bending in the wind, almost as if we had a squid on the end of each of them ! I ended up with a total of 39 QSO’s. This included quite a bit of DX on 20m SSB into the USA and Europe. Another highlight was a summit to summit QSO with Marshall VK3MRG/p, who was on top of Pretty Sally (so to speak), VK3/ VC-034. It was also great to make contact with David VK5KC, and John VK5BJE, who were both operating portable from the Scott Creek Conservation Park in the Adelaide Hills, as part of the VK5 National & Conservation Parks Award. Both had terrific signals up to the mid north. Thanks also to Wayne, VK7NET, for putting me on the DX cluster. Stations worked on 40m were:- David VK5KC/p; John VK5BJE/p; Matt VK1MA; Peter VK3PF; Graham VK5KGP; Trevor VK5ATW; Andy VK5LA; Ernie VK3DET; Warren VK3BYD; VK3JM; Peter VK3ZPF; Shaun VK5FAKV; Bernard VK3FABA; VK3MCD; VK3ANL; Al VK1RX; Mike VK5MCB; Darren VK3FDJT/p; Ian VK1DI; Steve VK3MEG; David VK3KR; Peter VK2NEO; Col VK5HCF; Craig VK3CRG/p; Marshall VK3MRG/p (s2s); VK5KFB; Roy VK5NRG; Ray VK3NBL/p; Greg VK2GJC; Dean VK2FLYS; Steve VK4KUS; and Stephen ZL4CZ. Stations worked on 20m were:- Brian ZL2ASH; John EA7BA; Wayne VK7NET; KD6BZN; Gil IK2KRZ; Keith M0WYZ; and Joe WA4JUK. I filmed a bit on top of the hill with my i-phone, and I’ve placed it onto You Tube. It can be found at ….. This was the end of 2 enjoyable days for me. 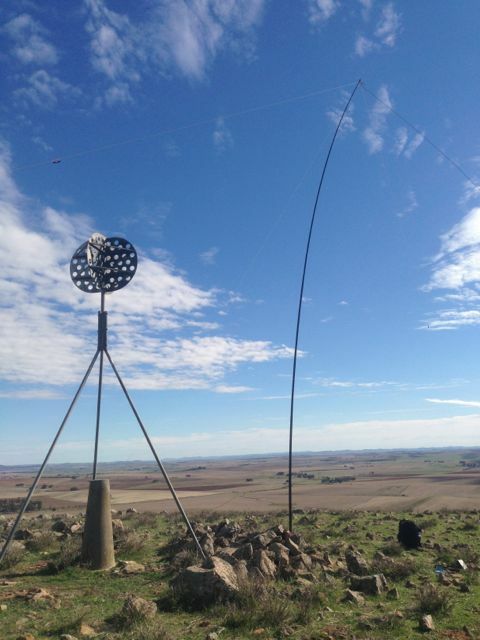 I journeyed back the 2 hours to my home qth in the Adelaide Hills. 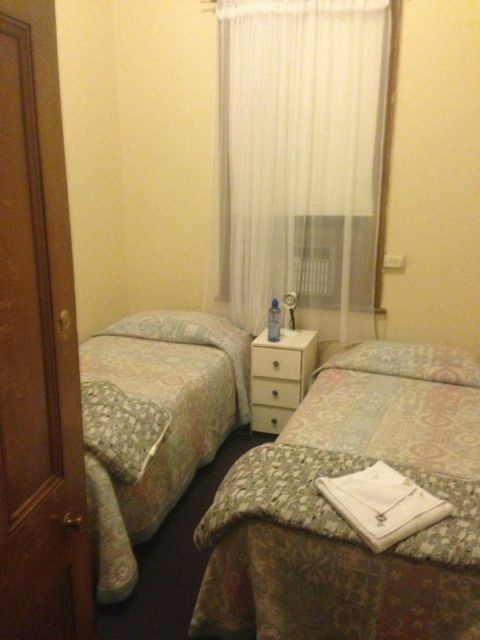 And after the bed at the Burra pub, I certainly enjoyed the hot bath and climbing into my own bed that night. 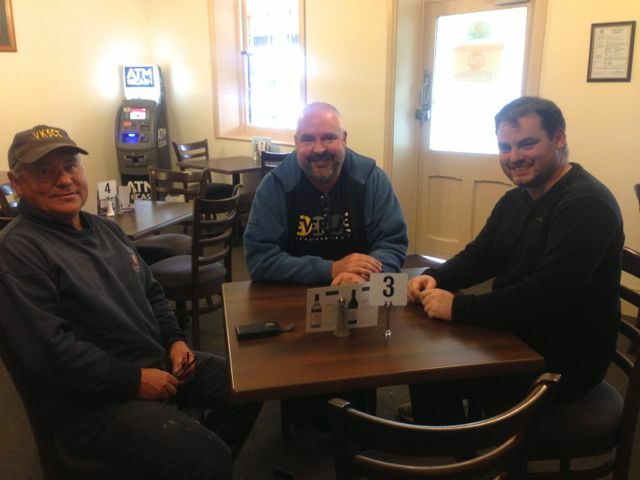 Following my activation of Tothill Range, VK5/ SE-010 on Saturday 18th May, 2013, I headed up to Burra and booked in to the Burra Hotel. Certainly not the Ritz, but it was okay for the night. The beer and the bundy was cold at the bar, which was the main thing. The following day I got up bright and early, and had my bowl of Corn flakes and coffee, and then met up with Ian VK5CZ, from Clare, out the front of the pub. We then headed south to un-named summit, VK5/ SE-009. We had a bit of difficulty finding the summit because of dodgy internet coverage and the fact that we had been told this summit was Steins Hill. It turns out definitely not to be Steins Hill, which is further to the east from VK5/ SE-009. 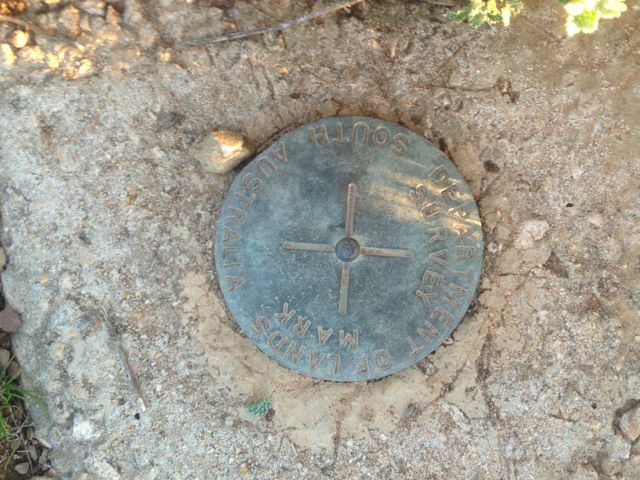 The summit is located on private property owned by Mr. Paul THOMPSON. Access is via Princess Royal Road which runs off the Barrier Highway, just out of the town of Burra. The trig point on the top of the summit is quite visible from the road. 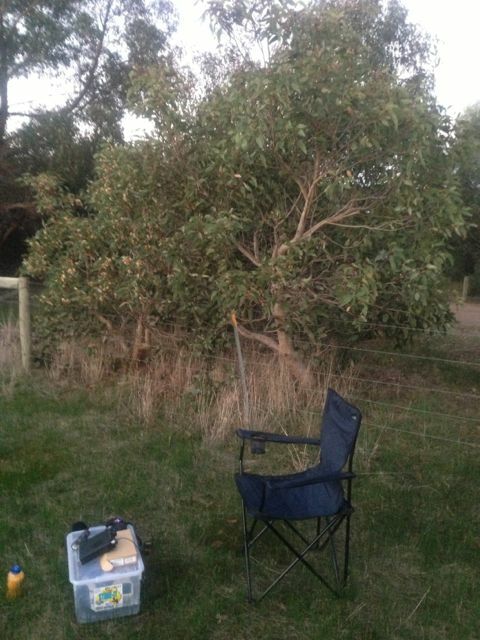 We entered Paul’s land via a cockies gate and travelled across the paddock to an old quarry, and parked the car here. From that point it was about a 2.5 km walk to the top of the summit. The climb is not too bad. We tried to follow the sheep trails as they seem to know the easy way up these hills. Quite a few kangaroos were seen on the way up. 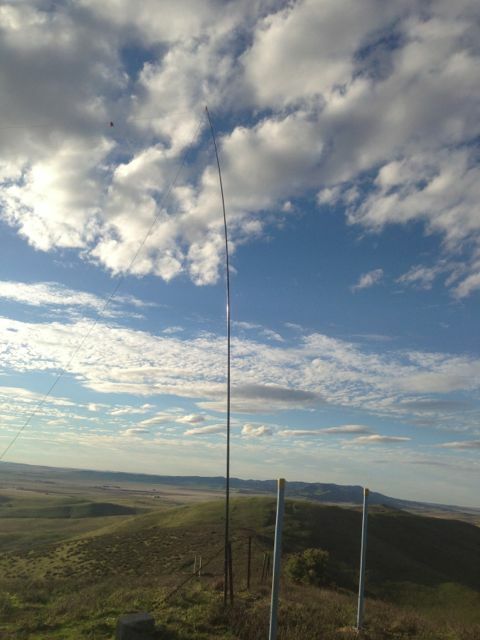 After reaching the top we set up the antennas in fairly trying conditions. It was blowing a gale on the top of the hill. No wonder they are trying to put more wind towers up here ! The westerly that was coming in was certainly getting the the squiddies to lean to the east. 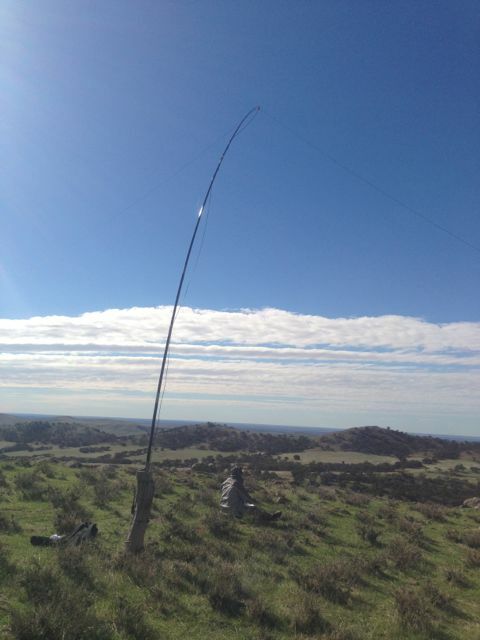 I set up my 40m/20m dipole close to the trig point and used a pile of rocks to prop up the squid pole. Ian used an old fence post to secure his squid pole. The views from the top are quite good, particularly down to the south and up to the north. 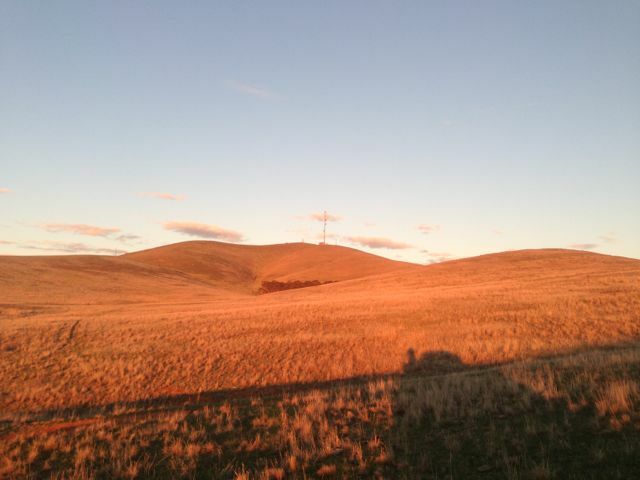 There is an experimental wind tower on the top of a nearby hill. It is planned for this range to host another series of wind farm towers. They are everywhere up here in the mid north. There is a trig point on the summit. I found the warning of a 20 pound fine for interference to the trig quite interesting. There are no trees on the top of the actual summit. It is rocky and quite bare. I jumped onto 40m first, while Ian tried his luck on 20m CW. 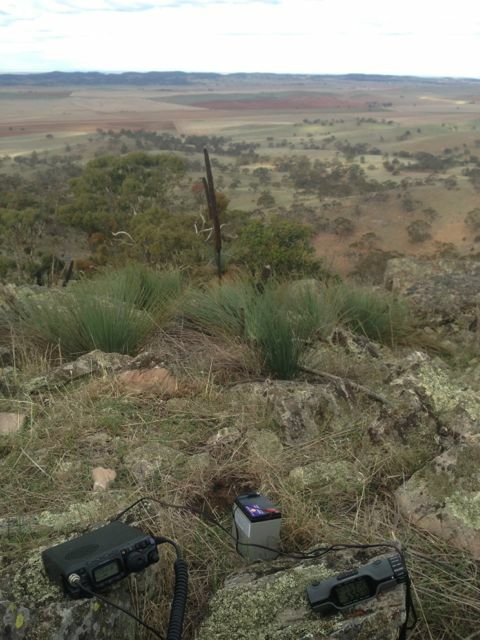 As was the case with the activation the day before, my first contact was a Summit to Summit with Ian, VK1DI/p on VK1/ AC-038 Mount Tuggeranong. Ian was 5/5 and I received a 5/3 back. Ian was kind enough to allow me the frequency and what followed was a mini pile up. I also had 2 more S2S QSO’s. The first being with Marshall VK3MRG/p on Mt Macedon VK3/ VC-007, and the second with Al VK1RX/p on VK1/ AC-019. A real pleasure to bag some more S2S contacts. That is always the highlight of any SOTA trip for me. I ended up with 20 QSO’s, all on 40m SSB. Stations worked were:- Ian VK1DI/p (s2s); Ernie VK3DET; Ed VK2JI/p; Rod VK2LAX/p; John VK2YW; Fred VK3JM; Marshall VK3MRG/p (s2s); Al VK1RX/p (s2s); Matt VK1MA; Peter VK3PF; David VK5KC; Shaun VK5FAKV; Peter VK3FPSR; Andy VK5LA; Ken VK7KKV; Allen VK3HRA/m (enroute to another summit); Col VK5HCF; Geoff VK2GM; Peter VK3ZPF/p, and Colin VK3LO. After a few hours on the top of the hill, Ian and I headed down. Again on the walk down, lots of kangaroos were seen. 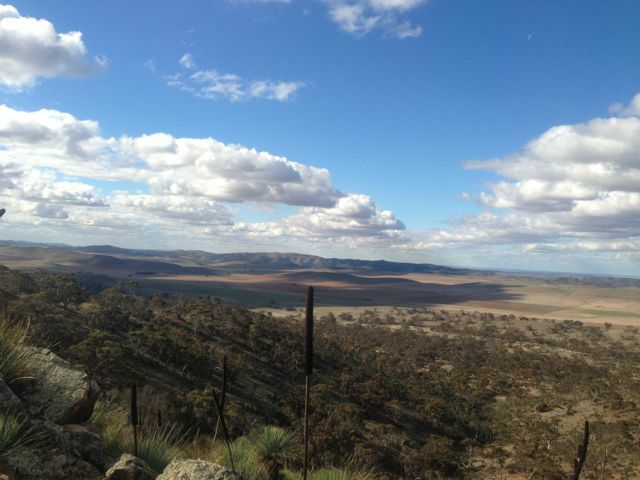 Ian and I then drove into Burra for a bite to eat, and then headed north for our next summit…..Mount Cone, VK5/ SE-002. I took a bit of video with my i-phone on the top of the summit, and I’ve placed it on You Tube. It can be found at …..
On Saturday 18th May, 2013, I travelled up to the mid north of South Australia. 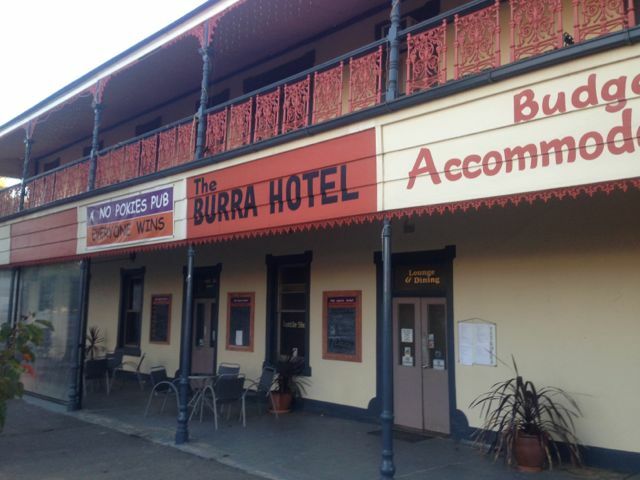 My plans were to activate 3 summits over the weekend, so after getting a ‘leave pass’ from my wife, I booked in to the Burra Hotel. I headed off after my daughter’s netball match, journeying through the Adelaide Hills where I live, and into the mid north. 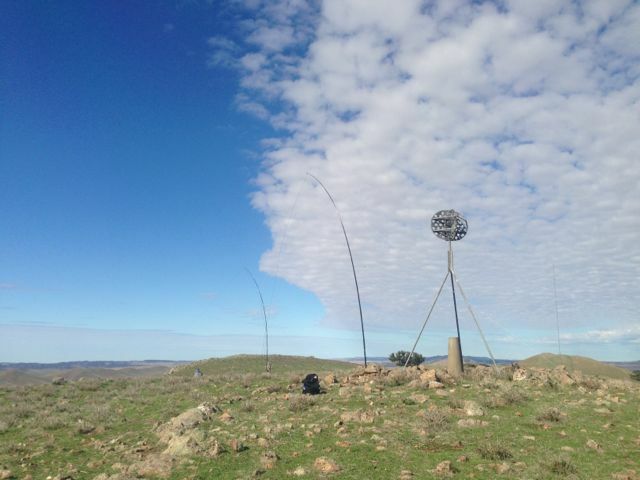 On Saturday afternoon, 18th May, 2013, I activated the first summit, the Tothill Range summit, VK5/ SE-010, about 150 kms north of Adelaide. 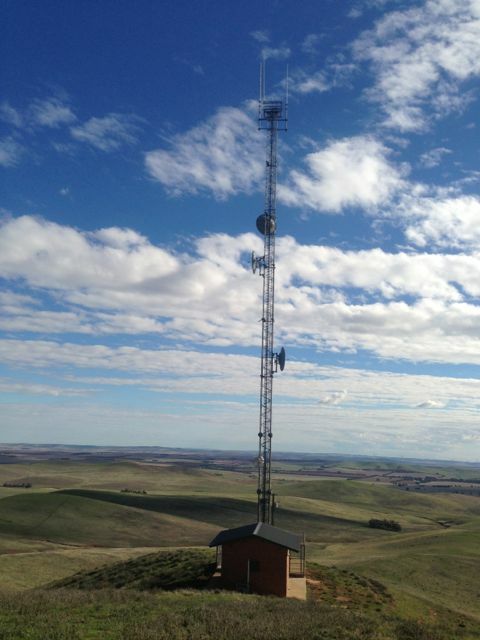 Tothill Range summit is 670 metres above sea level and is worth 4 points. The summit is located on private property owned by Mr. Peter FATCHEN of Black Springs. I stopped by the farm house to see him prior to climbing the hill. He is a very friendly fella and was very interested in my activities. Peter is in his late 70’s and is still farming the land, along with his son. Peter gave me directions on how to get to to the summit, so I headed up Black Spring Road, and then left onto the Old Burra Road. After travelling a few kms north up the road I entered back onto Peter’s property on the right hand side (the eastern side of the Old Burra Road) and drove across the paddocks. After driving for about 1 km I reached an old bush cottage. The Heysen Trail commences at this point. I kept driving down the Heysen trail to the sheep yards and the creek line, where the car would not go any further. It is about 1 km walk from here to the base of the hill. Once you reach the base of the hill, the view up to the top is a little daunting. It is straight up obviously, with no track. The side of the hill is covered in rocks and yacka, and the climb is quite steep. The climb took about 45 minutes, with 3 quick rests on the way up. I had quite a few interested onlookers in the way of kangaroos on the journey up. Once I reached the top, I walked further north along the ridgeline to reach the summit. What really stood out was that I found that the drop away to the east was far more dramatic than on the western side. The view from the top looking out to the east was absolutely spectacular. 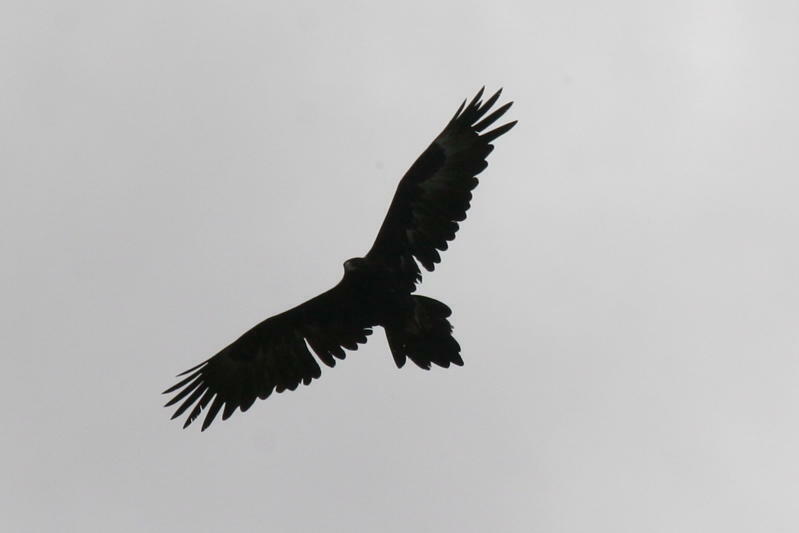 I even had my own resident Wedge tailed eagle soaring above the cliff face. The weather that day was quite mild, but the sun had some real bite behind it, so I found a bit of shade behind a small bush, and I set up the Yaesu FT-817nd on a moss rock. There is no shortage of rocks on the summit, so I propped up the 7m squid pole with some moss rocks. The antenna was my BandHopper 20m/40m linked dipole. The first station I heard after turning the radio on was Matt, VK1MA/p, who was on the top of VK1/AC-039. I gave Matt a shout who was a good 5/7 (with some QSB) and Matt came back to me with a 5/2 signal report. Really thrilled to have another summit to summit contact. I haven’t really had that many. I then headed up to 7.095 and called CQ and ended up with quite a pile up which was really good fun. Plenty of the usual suspects including Ed VK2JI, Ernie VK3DET, Peter VK3PF, Glen VK3YY, Marshall VK3MRG, Rik VK3KAN, Andrew VK2UH, Allen VK3HRA, Ian VK1DI, Bernard VK3FABA, A VK1RX, Andrew VK1NAM. The sunny weather didn’t last too long, with te sun going behind the clouds, and the wind picking up, and it was pretty cold. Probably not as cold as what the fellas in the eastern states were telling me. There was obviously a pretty severe cold snap over there. I had a total of 55 QSO’s whilst on the top of the hill, over a period of about 2 & 1/2 hours. They consisted of 40 stations on 40m SSB and 15 stations on 20m SSB. I managed a bit of DX on 20m as well into the USA, Italy, France, Belgium, the Canary Islands, and New Zealand. One of the highlights was making contact with a really good mate of mine, Marnix, OP7M, in Belgium. It was also good to work Peter VK3NAD, and Jim VK5JW, on 40m, who were both operating QRP with just 5 watts. Stations worked on 40 m were:- Matt VK1MA/p (SOTA VK1/AC-039); Ed VK2JI; Steve VK3MEG; Col VK5HCF; Ernie VK3DET; David VK5KC; Peter VK3PF; Glenn VK3YY; Marshall VK3MRG; Rik VK3KAN/p; Kas VK5ZKT; VK3YN; Peter VK3FPSR; Andrew VK2UH; Allen VK3HRA; Peter VK3ZPF; Ian VK1DI; Bernard VK3FABA; Brian VK3MCD; Dave VK3AZX; Al VK1RX; Andrew VK1NAM; Nick VK3ANL; Ian VK3IFM; Rod VK2ZRD; Peter VK3NAD/qrp; John VK2YW; Colin VK5FCJM; Peter VK1IRC; Adam VK2YK; Roy VK5NRG; Peter VK2NEO; Ron VK3JP; Victor VK2KVH; Graham VK5AN/p; Graham VK7ZGK; Jim VK5JW/qrp; Graham VK2HAL; Graham VK5KGP; Ian VK5CZ. Stations worked on 20m were Ian VK5CZ; Adam VK2YK; Ian VK1DI; Frank VK1VK; Lewis VK4LEW; Chuck AE4FZ; Max IK1GPG; James VK1DR; Andrew VK1NAM; Franc F5PAU; Theo OT4A; Marnix OP7M, Manuel EA8JK; Roy VK7ROY; and Jason ZL3JAS. The sunset on the way down was absolutely spectacular. But the beer at the Burra pub was even better. A really fun day on the hill. I have posted a video on You Tube of the afternoon. It can be found at….. I decided at late notice yesterday afternoon to go out for a drive down to Kyeema Conservation Park (CP), and activate the CP as part of the VK5 Parks Award. 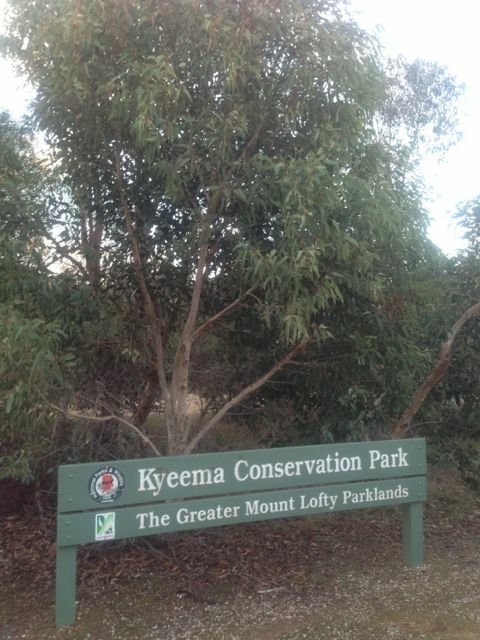 Kyeema CP is situated about 60 kms south of Adelaide, between Meadows and Willunga. 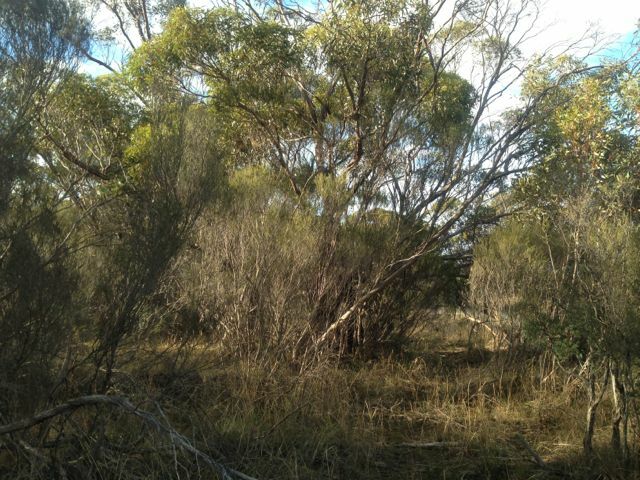 It covers an area of about 360 hectares and consists of thick scrub including messmate stringybark, pink gum, cup gum and candlebark gum. 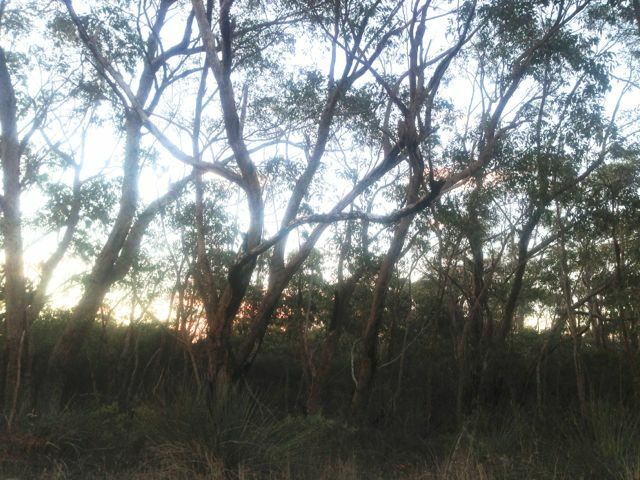 It provides habitat for a diverse range of wildlife, including the southern brown bandicoot and the swamp rat. 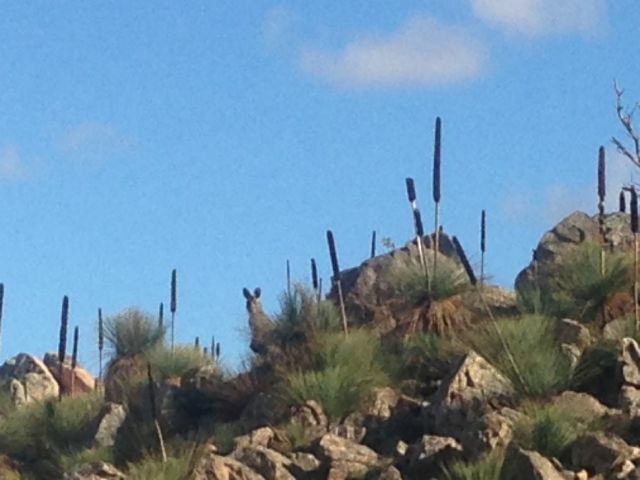 I didn’t see any of those, but I did see a heap of kangaroos. And they were pretty game, as they got within about 30 metres of me, grazing on some grass. The Kyeema Conservation Park has a colourful history. 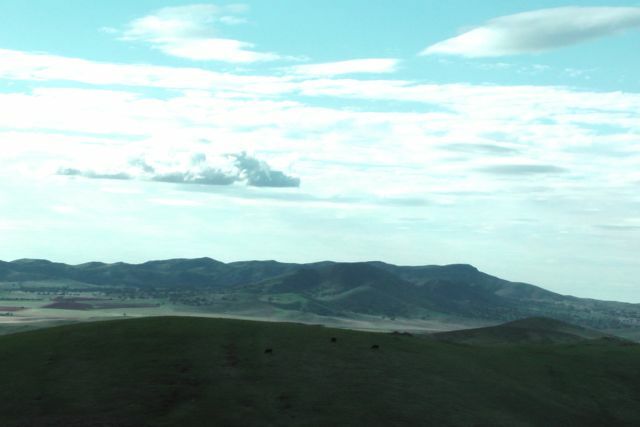 The area was once mined for alluvial gold for several years until it was abandoned in 1890 due to a low yield. A few years later some of the area was cleared for pine plantations before being used as a labour prison reserve. Following the 1983 Ash Wednesday fires, the Friends of Kyeema Conservation Park started to revegetate cleared areas of the park. This work still continues today. Access is off the Brookman Road (road between Meadows & Willunga) and then Woodgate Hill Road. The views down to the south are really terrific. There was some evidence a little further south on Woodgate Hill Road of a recent bushfire going through the park, but it appears the majority of the park was not affected. Part of the Heysen Trail also goes through the park. I set up the normal operating equipment (Yaesu FT-817nd & 40m/20m dipole) in a small clearing not far from the car park on Woodgate Hill Road. I had just set up the antenna and turned the radio on to 7.090 and I heard David VK5KC in QSO with Peter, VK3ZPF, so I quickly picked up the mic and gave them a shout, not realising that I was on the 1 watt setting on the 817nd. Surprisingly they could both hear me very well. I then turned up the Yaesu to the 5 watt setting, sat back on the deck chair and watched the sun set in the west. We had quite wet weather during the week, but by Friday afternoon the weather had cleared to the west. This made for a spectacular sunset. Following the sun going down, it was initially quite mild as there was a fair bit of cloud cover. But that disappeared soon and although this was a possitive in that the night sky and the moon were spectacular, the cold snap crept it and it was pretty chilly. Only other bonus was that it was too cold for the mozzies ! I had some really enjoyable chats during the night. This included catching up with Jessie, VK6JES over in WA. 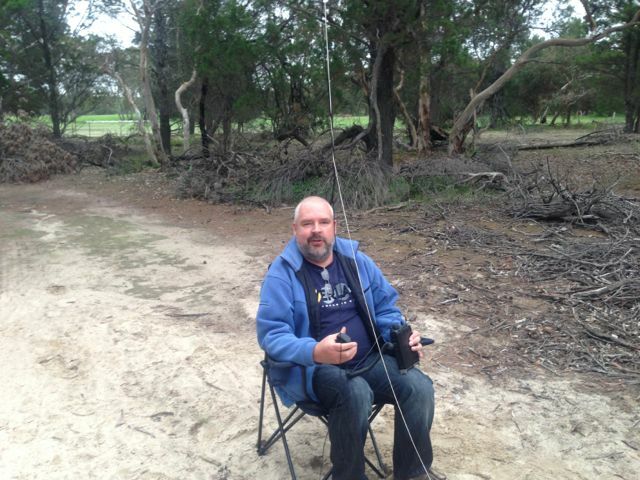 I also managed quite a few mobile QSO’s which was great, including with Peter 3ZPF, Grant 5AMC who was tractor mobile in his field over on the Yorke Peninsula, Andy 5AKH up at Waikerie in the Riverland, and Wayne 7NET down in Tassie. 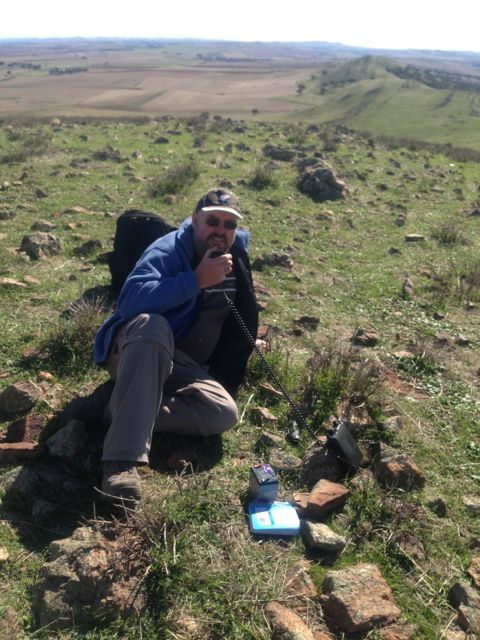 I also got a pleasant surprise when Andrew VK1DA gave me a shout from the top of Mount Ainslee (SOTA VK1/AC-040) Andrew was a great signal….5/8 here with no QSB. Just after 7.00 p.m. local time I jumped onto the 7130 DX Net on 40m and worked a few fellas there, including some DX…Bill W1OW who gave me a 4/4 from Massachusetts, William FO5JV who gave me a 5/1 from French Polynesia, Brian ZL2ASH who gave me a 5/7, Gary ZL3SV who gave me 5/9, and Chuck K9RM who gave me 5/6. I took some video of the net, which I’ll place on You Tube. 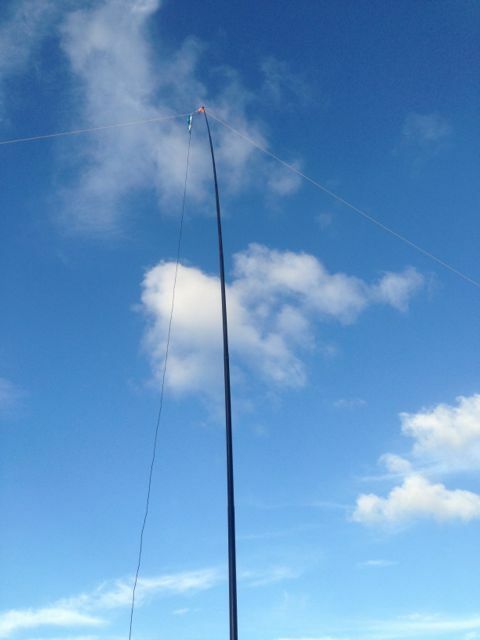 Gary ZL3SV has an amazing antenna…a centre fed dipole which is 640 metres long and he was absolutely rocketing in as always. Some of the fellas were talking about conditions on 20m being really good and that the USA was coming in well, so I quickly jumped onto the Southern Cross DX Net and worked Jack W1FDY (gave me a 5/4), Larry W4VES (gave me a 5/2), and Bill W1OW (gave me a 5/4). 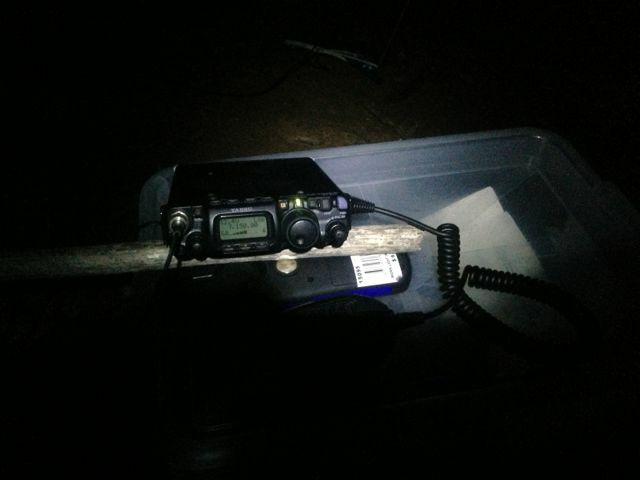 Stations worked were:- Peter VK3ZPF/m; David VK5KC; Peter VK5KPR; Peter VK3PF; Brooke VK4RZ/p; Grant VK5AMC/m; Andy VK5AKH/m; Andrew VK1DA; Jessie VK6JES; Adam VK2YK; Graham VK2FPW; Wayne VK7NET/m; Bill W1OW (on 40m); William FO5JV; Paul VK7CC; Rick VK2HFP; Brian ZL2ASH; Gary ZL3SV; Chuck K9RM; Roy VK7ROY, Andy VK4TH; Don VK7DON; Dean VK2FLYS; Jack W1FDY; Larry W4VES; & Bill W1OW. All in all a really enjoyable late afternoon and evening, with some really interesting contacts with just my 5 watts. I took some video & photos on my i-phone which I’ve placed on You Tube.